Staying connected with you is one of our favorite things! We’ve been interacting with you via social media, but we’re always looking for new ways to stay in touch! We tried to figure out what the best way for us to let you know what’s going on at First Step and we’ve come up with something exciting that we think you’ll really enjoy! 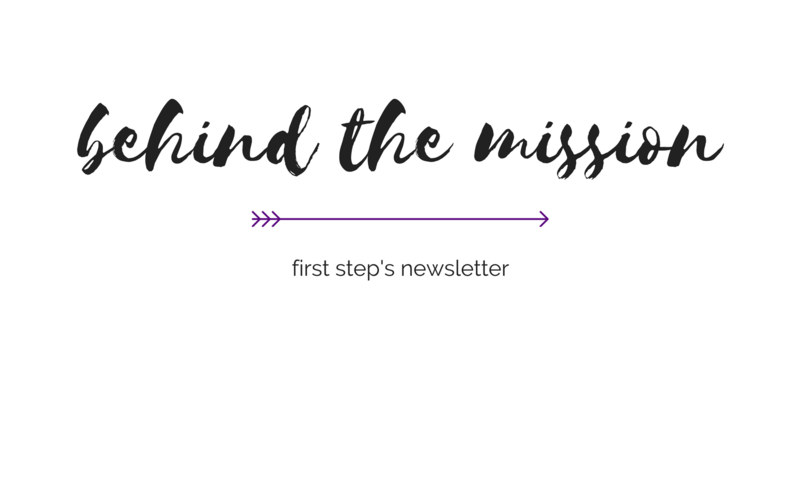 Sign up for our monthly newsletter, Behind the Mission, to receive updates on everything First Step.